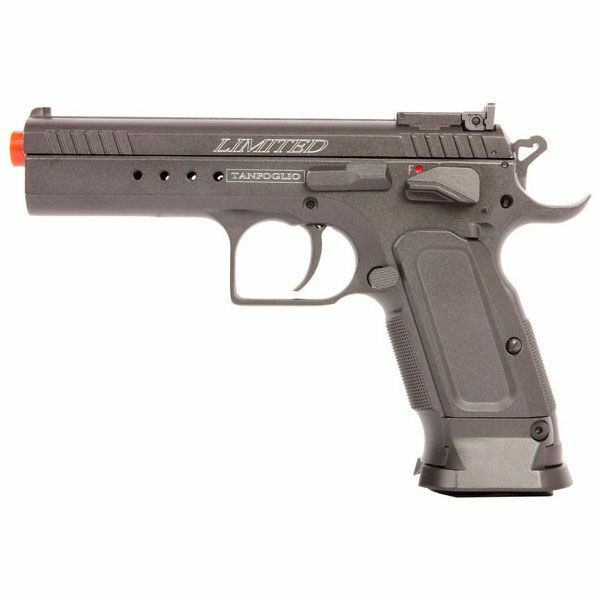 The Tanfoglio Limited Custom CO2 blowback pistol is a rugged and versatile gun built for competitive airsoft shooting. This beautiful pistol is completely metal and looks and feels just like a real firearm! The gun features crisp CO2 blowback recoil, a 18 round magazine and a shot velocity of 350-370 fps (using .20g BBs). The pistol also has an adjustable rear sight and BAXS hop-up unit for enhancing the gun's long range accuracy.